Medlock Area Neighborhood Association (MANA): It's gonna be a long day! Feel like celebrating? People often do. See http://www.timeanddate.com/calendar/june-solstice-customs.html. about the same) and the winter solstice (max tilt away from the sun). Photo by Gregg Kemp, Manteo, NC, June 21-Sept 23, 2006. 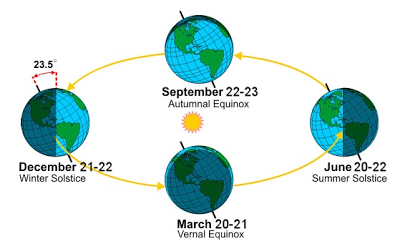 NOAA's website reminds us that seasonal changes are caused by the earth's tilt and not by Earth's orbit dramatically swinging us closer or farther from the sun. 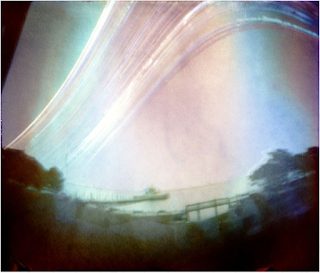 Solargraphs capture the sun's path across the sky over time (hours, even months). The image to the right shows the sun's path between June (higher parts of the "sun band") and September (lower parts). The source of this image, http://www.solargraphy.com/, also includes how-to instructions for making inexpensive pinhole cameras. For many more striking solargraphs, visit this Flicker stream. Eventually, sunflowers agree that east is best. It is not only humans who like to keep an eye on the sun. Many plants display heliotropism (orienting leaves or flowers to track the sun). Sunflower plants turn to follow the sun when they are young, usually while flowers remain at the bud stage. Once the plant matures and the stem becomes woody (to better support the heavy flower heads), the flower fixes eastward. 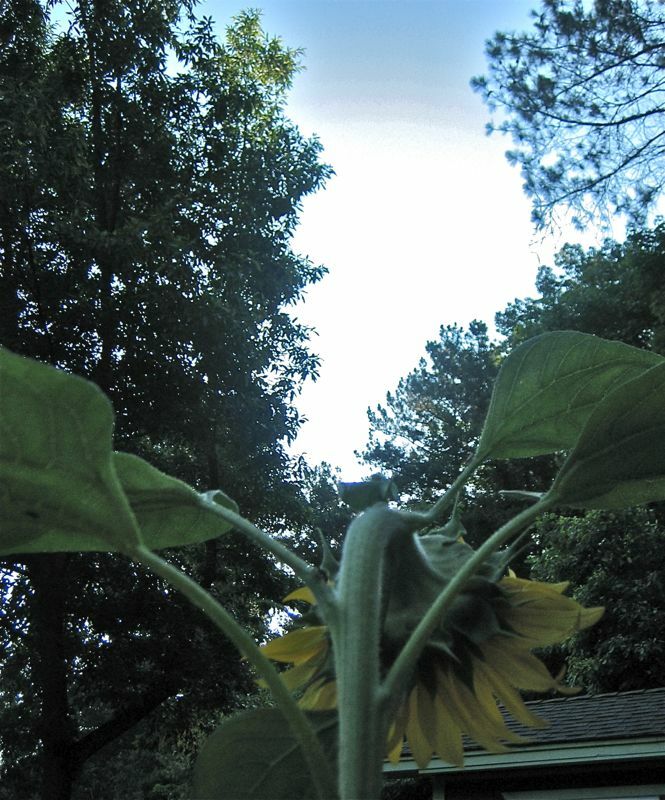 So, if you get disoriented, seek directions from friendly neighbors... or mature sunflowers. p.s. Time to break out the sunblock!